At ConvertKit we highly encourage sending emails that look personal—like you just opened up Gmail and sent them a note. 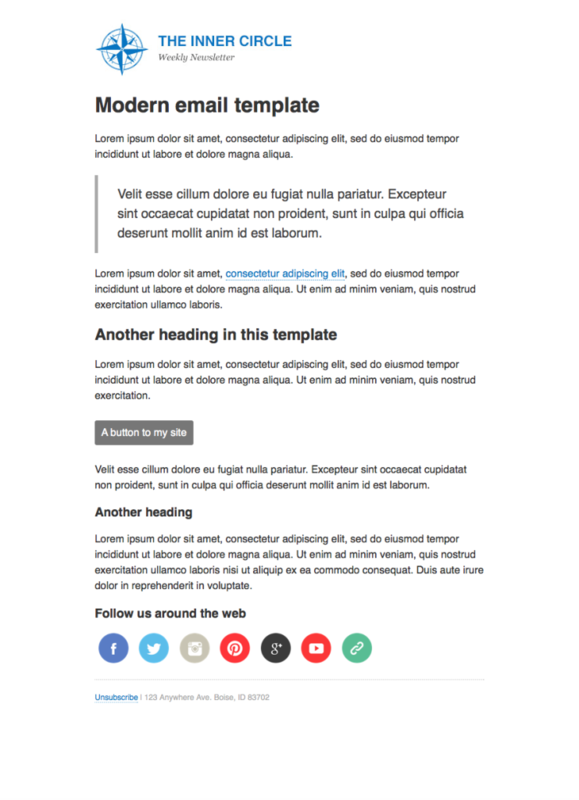 But that some customers want a more advanced style so we enabled coding custom email templates. If you don't want (or don't know how) to code from scratch, we created two simple templates to get you started: classic and modern. Classic uses serif fonts and modern uses sans-serif. Click on each image to see them at actual size. 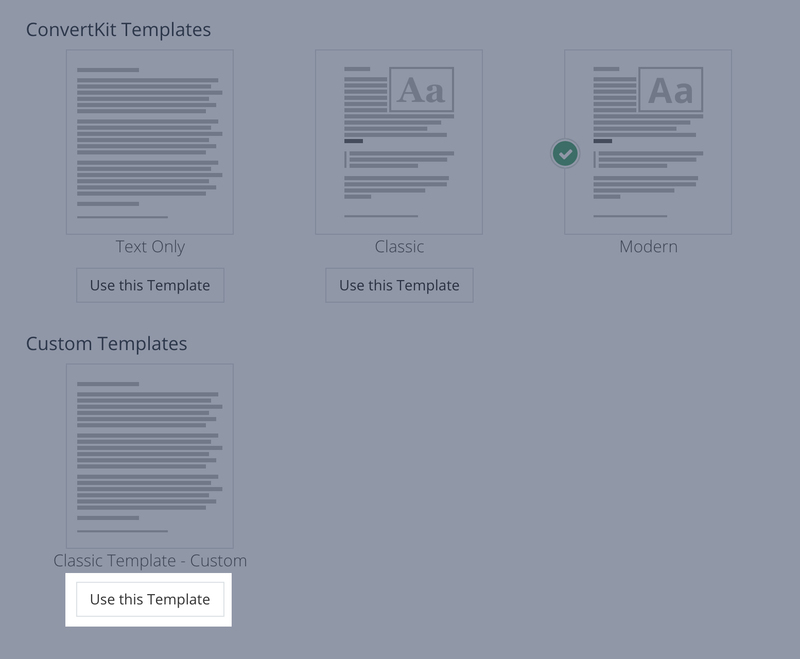 Then visit your account email templates page and create a new template. Or you can grab the code from the templates that are already installed in your account as a basis. Name your template and copy in the template code from the link above. Save the template and then set it as the default for your account. The CSS for each of these snippets is included in the Classic and Modern templates. 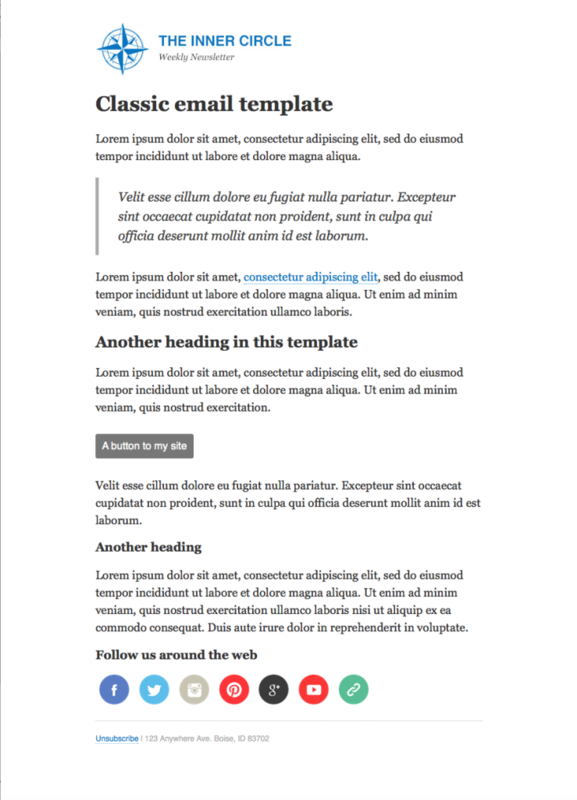 If you want to use them in another template you'll need to add the corresponding CSS as well. To add a logo that links back to your site copy the following code. The <a> tag has the link to your site and the <img> tag has the link to your logo. If you don't have your logo hosted anywhere right now you can upload it into a broadcast or sequence inside ConvertKit and then copy and paste the direct link to it. For a simple button add a class of "button" to any <a> tag. This is an important quote. Update the links to point to your profiles (e.g. change twitter.com to twitter.com/username). Paste it into your template. Melissa Thorpe is a Certified ConvertKit Expert, and would love to help you out!